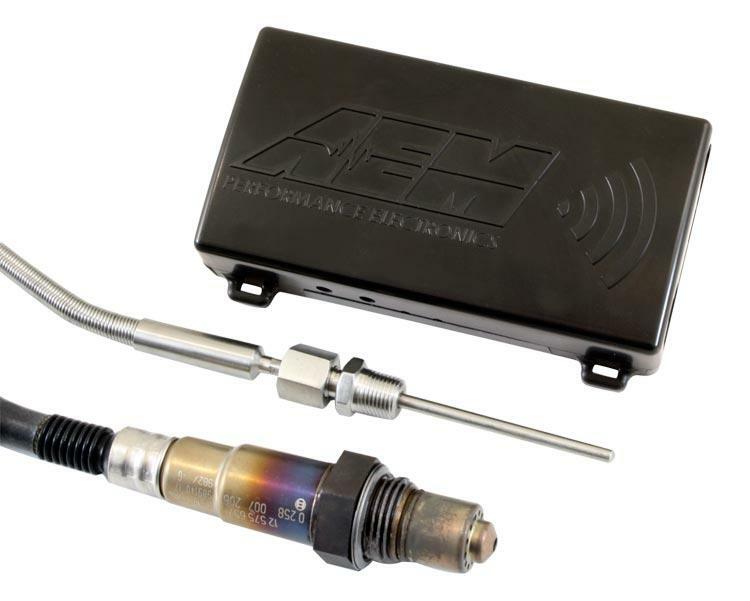 AEM X-WiFi Wireless Module UNIVERSAL - Lesher Motorsports, Inc.
AEM is pleased to introduce its X-WiFi Module, which allows wireless monitoring of real time exhaust gas data from virtually any WiFi enabled device. The AEM X-WiFi is the complete exhaust gas monitoring and tuning tool, combining the legendary AEM wideband UEGO and up to two EGT sensors in one compact, easy to install module. On top of that, the X-WiFi displays accurate, real-time, AFR and EGT data in a user-friendly layout via the standard web browser on virtually any WiFi enabled electronics device such as the iphone™, droid™, and storm2™. The AEM X-WiFi also offers a 0-5v analog output for use with data loggers and virtually any engine management system, such as the AEM EMS or FIC. Data stream output is included for PC viewing of AFR and EGTs via USB cable. Easy to conceal, yet simple to connect to wirelessly, the AEM X-WiFi system features a Bosch sensor with an accuracy of .1 AFR, making it among the fastest and most accurate widebands available. When used with the two K-Type EGT sensors, the X-WiFi gives fast and accurate reference to real-time exhaust gas conditions, for easy power tuning. With clean and easy installation and simple data viewing, the X-WiFi lets you monitor your Air/Fuel Ratio and EGT from a wide range of wireless devices and can be configured for either direct (adhoc) or network (infrastructure) WiFi communication. Bottom line, the X-WiFi is a must have for tuners and enthusiasts alike. No laptop required for monitoring!